The illustrations released last week for Hapag-Lloyd Cruises’ Europa 2 show a vessel that will be decorated in the fashion of the former “ships of state,” the majestic ocean liners that used to ply the North Atlantic. The ship’s Elements Asian restaurant, for example, brings back memories of the Cathay Lounge on Canadian Pacific’s Empress of Britain of 1931. And the French restaurant Tarragon is a stunning room as well. Elsewhere, Princess Cruises will use its Australian-based Sun Princess to run a three-month cruise season in Japan next year. And Azamara Club Cruises leaves no room for a press looking for bad news in its exemplary handling of the fire on board Azmara Quest last week. Judging by illustrations released last week, Hapag-Lloyd Cruises’ new Europa 2 may well prove to be one of the most interestingly decorated ships since the Empress of Britain of 1931 and Normandie of 1935. Flexibility and individuality will be found in every detail from entertainment to gourmet cuisine on board Europa 2. The routes of Europa 2 will be geared towards working people and families, with one-week itineraries offered. Personalized service will be heightened, with more than 370 staff members for a maximum of 516 guests, as well as butler and travel concierge services offering unsurpassed quality when it comes to catering to guests’ needs. New standards will also be set with regards to environmental protection – Europa 2 will be the first cruise ship equipped with selective catalytic reduction, which reduces the emission of nitrogen oxides by almost 95 percent. Shorter routes will be ideal for working people and families. With 7-day combinable cruises to the Mediterranean in the summer and 13-20 day combination cruises to far-away destinations in the winter, Europa 2 will meet the requirements of working people and families with limited holiday time. Calling at 123 ports on 26 different itineraries in 2013, cruises will take guests to the western and eastern Mediterranean and the Arabian Peninsula, as well as Southeast Asia. The size of the ship is a major advantage – with a length of 739 feet and a draught of 20.7 feet, Europa 2 is capable of calling at small, rarely-visited ports such as Bonifacio and Portofino, where larger ships cannot. Furthermore, twelve Zodiacs will be carried to take passengers to lagoons and beaches in remote parts of Southeast Asia. Accommodations on board will all be Veranda Suites. Europa 2 will exclusively offer Veranda Suites with balconies each measuring at least 75 square feet facing the sea, a novelty in the cruise market. In addition, all suites will have a free of charge mini bar, Wi-Fi Internet access at a charge and a tablet PC. The 251 suites in seven categories will measure from 301 to 1,066 square feet and will have whirlpools with ocean view in the highest categories. In addition, 16 Spa Suites will have whirlpool tubs and rain showers with steam saunas, providing guests with a private oasis of well-being onboard. For families traveling together, there will be seven family-style suites where parents and children can live in two separate areas, connected by a door and the shared balcony. 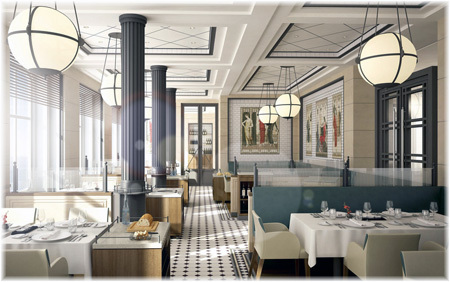 Culinary diversity will provide flexible times and open seating. The restaurant concept on board Europa 2 will be diverse and flexible – flexible mealtimes, no assigned seating and plenty of tables for two. There will be eight restaurants to choose from, among them three speciality restaurants with Mediterranean, French and Asian cuisine, as well as a Sushi Bar. The Asian restaurant Elements provides an interesting comparison with Canadian Pacific’s Empress of Britain of 1931, which was advertised in Germany as “das Luxusschiff der Welt” (“The Most Luxurious Ship in the World”). One of the Empress of Britain’s chief attractions was the Chinoiserie used in her decorations, particularly in her Cathay Lounge, something that stemmed from Canadian Pacific’s Transpacific ocean liner service between Vancouver and the Orient. This is interesting as it was Hapag-Lloyd that took over CP Ships, the former Canadian Pacific Steamships, in 2005. All restaurants will be included in the cruise price (excluding beverages). On special occasions, guests can book the private dining room, allowing them to dine in a very personal atmosphere. There will also be an on-board cooking school, equipped by Miele, where professional chefs will provide guests with unique insights. In addition to the eight restaurants, six bars will be found on board. Entertainment will include exclusive productions and performances. The entertainment program will reflect the modern Europa 2. The theatre will have modern stage technology and a large LED wall extending over two decks – a novelty on a relatively small ship. For the first time for Hapag-Lloyd Cruises, the entertainment program will feature production performances and light shows. The shows will not adapt shore programs, but instead will be performed exclusively on board Europa 2. Two shows per week will be offered, ensuring plenty of variety. Passengers who spend 14 days onboard will see four different shows. International guest artists will further enhance the entertainment program. And shows will not start simultaneously, allowing guests to enjoy more than one show a night. Guests will also find diversity and plenty of space in the wellness area of Europa 2, which will cover 10,000 square feet. Treatments ranging from massages to facials to Thalasso therapy will be offered in eight treatment rooms at the Ocean Spa. The extensive sauna landscape gives guests more space to relax than any other ship of this class. In addition, passengers can book a Personal Spa experience and enjoy the private sauna and whirlpool facilities, as well as massage beds and comfortable relaxation furnishings, by the hour or the day, in an intimate atmosphere. Facilities also include a large area with fitness and cardio equipment, as well as a room for Pilates and Spinning. On request, a personal trainer will be available to counsel guests on their workout, and sports hosts are available to organise shore excursions, for example bicycle tours or Nordic Walking. Child care will be available. Young cruise passengers are sure to enjoy themselves in the Kids and Teens Club, which will have qualified child care specialists. For the first time in the German market, child care will be available for toddlers two and older on board Europa 2, subject to charges. There will be a special area for the infants called the “Knopf Club,” equipped with cots, changing tables and a lounge furnished with cuddly toys, by the renowned Steiff, a German-based plush toy company known for over 100 years for its high quality. Children aged 4 to 10 play in the adjacent Kids Club, and children 11 to15 have their Teens Club, where table football, video game consoles and disco will await them. Children eleven and under will travel free of charge on board Europa 2, when accompanied by two full-price adults. 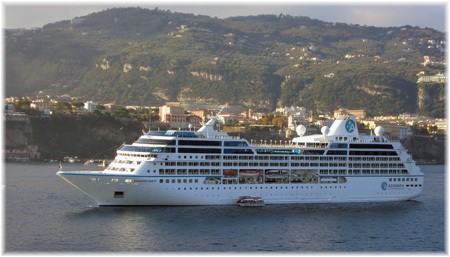 Shore excursions for children, teenagers, or the entire family will be offered on all family cruises. Perhaps the fact that Carnival Australia now accounts for 80% of the Australian cruise market has led them to this but in April 2013 Princess Cruises’ Australian-based 77,000-ton Sun Princess will move over to Japan for almost three months next April. 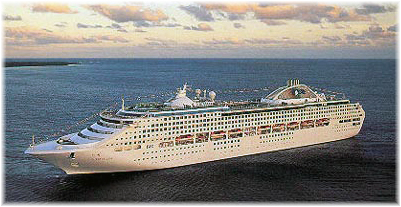 In response to the growing interest for cruising in Japan, Carnival Corporation & plc will bring the largest cruise line deployment ever to the Japanese market when it sends the 2,000-berth Sun Princess to Japan for a spring to summer season in 2013. The 87-day program will remove the Australian-based ship from that market during its winter to offer nine cruises on seven different itineraries, ranging from 9 to 12 nights, from Yokohama and Kobe. The Japanese program will be launched with Japan’s Golden Week on April 27, 2013. A new company, Carnival Japan Inc, has also been formed to sell Princess Cruises and certain other Carnival brands in Japan. Carnival Japan will be based in Tokyo and headed by Eiko Kijima, who will also be on the board of directors of Carnival Japan. About 18,000 passengers are expected during this first Princess Cruises season in Japan. Highlights of itineraries include overnight stays at cities with popular annual festivals, destinations known for their natural hot springs, northern ports of Japan and foreign ports in Korea and Taiwan. The 2013 Japan homeport program will feature nine cruises, including two 12-night Round Japan cruises and a 9-night Round Japan cruise. Pricing for these cruises starts at 124,000 yen per person, double occupancy for a nine-day sailing. The cruise experience will be substantially the same as the Princess Cruises product offered around the world, providing an impressive array of dining and entertainment options in addition to the line’s signature innovations such as its popular Movies Under the Stars poolside theater and The Sanctuary, an exclusive top-deck retreat. However modifications will be made including introducing key passenger-facing positions which will be filled by Japanese-speaking crew members. 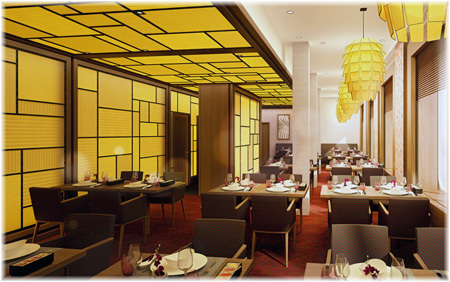 Dining room menus will offer international Princess cuisine while additional offerings will cater to Japanese tastes, and an a la carte sushi bar will be opened. 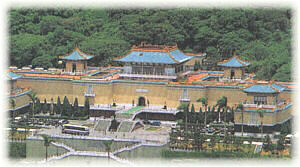 A specially designed enrichment program will include an expert lecture series on art, culture and history. Other amenities such as the shopping selection and spa treatments will also be tailored to Japanese preferences, and onboard collateral items and stateroom information will be translated into Japanese. The Sun Princess carries 2,022 passengers and features a high number of staterooms with private balconies, Lotus Spa, steakhouse, wine bar, patisserie, pizzeria, boutiques, and internet cafe among other amenities. This new season of cruises will be sold in Japanese Yen. In conjunction with this, Princess Cruises brand will also launch a Japanese language version of its travel agent booking tool called POLAR Online, enabling travel agents in Japan to book cruises easily and conveniently. The user-friendly 24/7 booking system is the number one booking tool for Princess cruises worldwide. The press, as usual, has been making a big deal about every event at sea, but the handling of the fire on the Azamara Quest was pretty well exemplary. In fact, as one of the disembarking passengers said of Capt Leif Karlsson and his crew, “the best we can say is how wonderful the crew was.” “It was unfortunate, but the crew was totally, utterly amazing, taking care of us, making sure we were safe, pulling double duty,” said another passenger. Not only was the fire put out quickly on Friday night, with power eventually restored so that the the ship could safely make port at Sandakan, Malaysia, yesterday, while the line’s ceo flew to the scene. But Azamara Club Cruises did the right thing by it’s clients, providing a full refund and a future cruise certificate for 100% of the cruise fare paid for their March 26 cruise that had to be ended early. The ship was carrying 590 passengers, of whom 201 were American, 98 British, 89 Australian, 45 Canadian and 39 German. Five crew members suffered from smoke inhalation, one seriously. Although the ship was left without air conditioning, the crew organized barbecues on deck and free drinks for guests as the ship made her way to Sandakan at the rather slow speed of six knots.